Atlanta Housing (AH) provides housing assistance to low-income working families, seniors, persons with disabilities and persons with special needs. 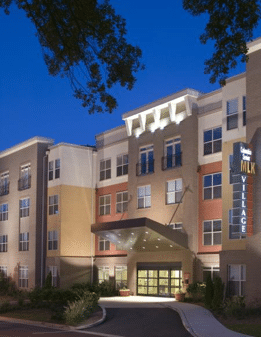 AH is the largest affordable housing provider in the state of Georgia, currently serving more than 23,000 families. We offer our customers choices to live in quality, mixed-income apartment communities and single-family home neighborhoods throughout the city of Atlanta. Tenant-based Assistance where subsidy stays with the tenant. Read more about these type program types below. Once you decide which program type is best for you, applying is easy. Decide where you would like to live. Call to confirm the community is accepting applications. Prepare the documents you will need. Property management can tell you exactly what you will need to apply. Apply to get on the waiting list at the community or communities where you would like to live. Once on the waiting list and determined to be eligible, property management will contact you when a unit is available. Register for the waiting list. Prepare the documents you will need if selected for the waiting list. There are more than 90 apartment communities throughout the city of Atlanta that offer AH rental assistance to low-income families and individuals, including some communities for SENIORS ONLY or PERSONS 55 AND OLDER ONLY. If you are interested in getting rental assistance for units in one or more of these communities, you must first contact each community’s property management office to find out if the waiting list is open. For a listing of these communities and to see whether their waiting lists are open, click here. You may apply to as many communities as you wish. Property managers must pull people from their waiting lists in order of the date each person applied, so depending on how many people are on the waiting list when you apply, it could take a while for you to get an apartment. While you are waiting, be sure to respond to all letters you receive from the community and update your contact information if it changes. That is important so that they can contact you successfully. When your name reaches the top of the waiting list, the property manager will contact you to set up an appointment to determine your eligibility. If you are eligible, they will assign an apartment so you can move in. If you or a family member has a disability, and you need or want help completing the application, need a fully accessible unit, special features added to the unit or any other reasonable accommodation, you may request it by informing the property manager at any time. Fully accessible units are designed for residents with mobility-related disabilities or who may use a wheelchair or scooter. These units offer features such as wider doors, roll-under sinks and lowered controls, light switches, counters, cabinets, etc. As an applicant, you may apply for this type of unit any time during the application process. Upon request, an eligible household may be offered a fully accessible unit at the community where the application was submitted or another community, based on availability. AH’s Housing Choice Voucher Program offers low-income individuals and families an opportunity to live in quality, mixed-income apartment communities and single family home neighborhoods owned and operated by private property owners. The housing units must meet AH’s Inspections Standards. AH will negotiate the rent with the landlord. During the first year of using a voucher, you must live within the city of Atlanta. After the first year, you can move anywhere in the United States where there is a Housing Choice Voucher Program as long as you are compliant with the program requirements. The subsidy assistance follows you (the tenant), so if and when you (the tenant) move, as long as you remain eligible and compliant with program requirements, you can continue to receive subsidy to rent another eligible unit. To get a Housing Choice voucher, you must register for a chance to get on the waiting list. You can only register when the waiting list is open. When AH opens the waiting list, we will put a notice on our website and an advertisement in the legal section of the Atlanta Journal Constitution. We also will get the message out to the public through radio and other media. If you are selected to be on the waiting list, it could take several months before your name is pulled from the waiting list for a voucher. Once a voucher is available, AH will contact you to set up an appointment. For more information about the Housing Choice Voucher Program, click here. AH continues to expand its role to address the needs of families that are homeless or at risk of homelessness and who also need Supportive services to address other challenges, including mental or developmental disabilities, health concerns. Through its various programs and communities, collectively called HAVEN, AH assists more than 2,000 families in the provision of housing and supportive services. Through its partnership with the Atlanta Continuum of Care, AH integrates best practices, such as the Housing First model and Coordinated Entry, both proven national models for successfully transitioning and housing at-risk families. Dial 211 on your phone to reach United Way of Greater Atlanta’s 2-1-1 Contact Center. First come, first serve basis. Check-in located on the first floor. HomeFlex for Supportive Housing. Through the provision of project-based housing subsidies, AH collaborates with property developers and owners that incorporate housing plus case management services within their communities. Veterans. Through an allocation from HUD and in partnership with Atlanta Veterans Affairs division, AH supports qualified veterans with permanent housing via VASH vouchers. FLOW (pilot). In partnership with the City of Atlanta, AH provides tenant-based housing assistance for individuals and families that successfully “graduate” from living in permanent supportive housing arrangement to stable housing with light-touch supportive services. Housing First (pilot). A pioneering offering as a tenant-based referral program, Housing First assists formerly homeless or chronically homeless residents achieve housing stability and independent living along with intensive wraparound services by qualified service providers. Based on a “Housing First” model proven successful in reducing homelessness throughout the U.S., coordination of dedicated case management resources is managed via Partners for Home and United Way of Greater Atlanta to put individuals on the path to stability. Home Again (pilot). 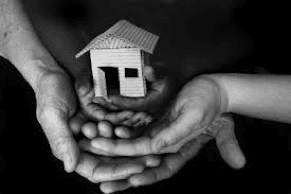 Working with a local non-profit, AH provides to families dealing with temporary setbacks short-term housing assistance that may include rent/utility and/or deposits that allow them to become or remain stably housed. Local supportive housing providers assess, refer and assist families in need of rapid re‑housing or at imminent threat of homelessness. Special Voucher Program for Homeless Students (pilot). 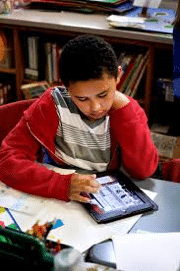 An innovative program in alignment with AH’s strategic objective on student achievement, AH allocates special program vouchers for chronically homeless students referred by Atlanta Public Schools counseling services. The housing assistance helps to stabilize external factors that enable students the freedom to focus on academic success. Youth and Foster Care Homelessness. AH’s Next Step Youth Self-Sufficiency Program collaborates with state agencies, service providers and the education system to develop term-limited solutions that support youth development and economic self-sufficiency. The Gardens at CollegeTown. 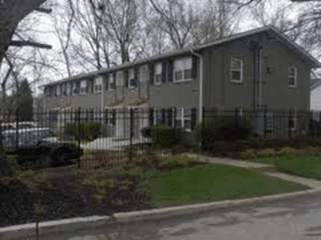 On redeveloped land of former public housing, through service and developer contracts, AHA manages a 26-unit site for residents with developmental or mental health disabilities. The community is supported by a comprehensive human services program designed to assist disabled residents with activities of daily living, job/employment training and connection to other resources that promote healthy lifestyles. Mainstream Program. Administration of one-year and five-year special HUD‑allocated vouchers designed to assist households with disabled individuals live independently in the private market. The housing assistance targets both elderly and non-elderly people with disabilities who face difficulty locating suitable, accessible housing. Family Unification Program (FUP). With program referrals coming directly from Fulton County Department of Family & Children Services, these special HUD-allocated vouchers are awarded to promote family unification for families with children that are separated or are at-risk of separation because of their housing situation, as well as former foster care youth. AH’s Homeownership (DPA) Program provides down payment assistance to low-to-moderate income first-time homebuyers. To apply for this assistance, you must meet the eligibility requirements, which can be found here. For more information, simply call 404-892-4700 to speak with an agent.